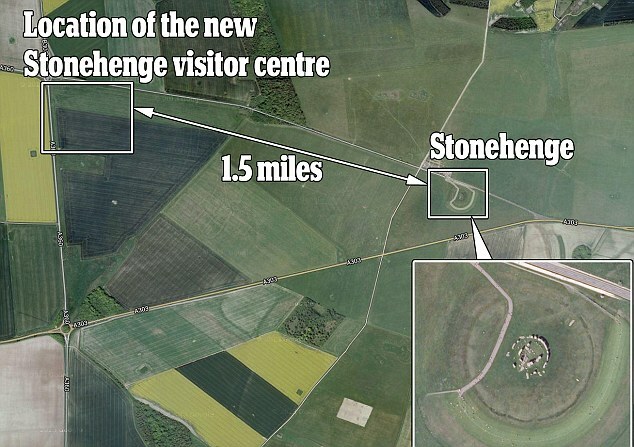 The new Stonehenge visitor centre will open on the 18th December, in time for the winter solstice. Over the festive period you can visit Stonehenge without booking and from 1st February 2014, entrance to Stonehenge will be managed through timed tickets and advance booking is strongly recommended. For the first time ever at the site, they will be able to learn more about this complex monument in a stunning, museum-quality permanent exhibition curated by English Heritage experts. The £27m project also includes grassing over the A334 alongside the ancient monument and closing another section of the busy road. The visitor centre and museum will be located about a mile-and-a-half from the stones. Visitors will be shuttled to Stonehenge by a little train, pulled by a Land Rover. The first part of the long-awaited environmental improvements to Stonehenge will be the unveiling of a new visitor experience. This includes the new visitor centre and exhibition facilities to enhance your visit to the Stones. A 360-degree virtual, immersive experience will let visitors ‘stand in the stones’ before they enter a gallery presenting the facts and theories surrounding the monument through various displays and nearly 300 prehistoric artefacts. The archaeological finds on display are on loan from the Salisbury and South Wiltshire Museum, the Wiltshire Museum in Devizes, and the Duckworth Collection, University of Cambridge. All were found inside the World Heritage Site and many are on public display for the first time. Set in Stone? 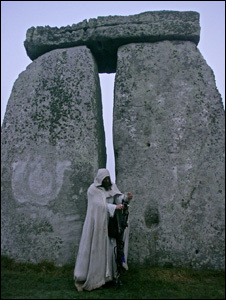 How our ancestors saw Stonehenge, will be the first special temporary exhibition. It will chart more than 800 years of ideas and debate – from 12th-century legends to radiocarbon dating reports in the 1950s – on who built Stonehenge and when, and features objects on loan from many national museums. Advance booking will be available shortly to give you guaranteed entry on the day and at the time of your choice. Please note: road access to Stonehenge has changed and permits are being issued to vehicles driving on the A344 to Stonehenge until the new visitor centre opens at Airman’s Corner. Please go to the Directions page for more details.